On May 3, 2003, Steve Park picked up the 4th last-place finish of his NASCAR Winston Cup career in the Pontiac Excitement 400 at the Richmond International Raceway when his #1 Pennzoil Chevrolet was involved in a crash that ended his night after 42 of 393 laps. The finish, which came in Park’s 156th start, was his first of the season and first in a Cup race since July 28, 2002, his terrifying first-lap accident with teammate Dale Earnhardt, Jr. during the Pennsylvania 500 at Pocono. Both crashes were among the many challenges faced by the East Northport, New York driver. Park came from the modified ranks, driving for his father and series veteran Bob Park. In the decade following his 1986 debut, Park won 16 races, and twice finished second to champion Tony Hirschman in 1995 and 1996. He’d also dabbled in closed-fender racing in the Busch North Series (now K&N Pro Series East) and the NASCAR Busch Series (now NASCAR XFINITY Series). 1996 was a huge year for Park. On top of his runner-up finish in the modified ranks, he scored two wins in just eleven starts in the Busch North Series, finished 11th in his Truck Series debut at Indianapolis Raceway Park and 4th in his second start at Loudon, and by season’s end began to drive for Dale Earnhardt, Inc. (DEI). Park finished the ‘96 season with a 34th-place running in his first Busch Series start for DEI at Charlotte, then 15th in the Truck Series season finale at Las Vegas. The next year, Park would run full-time in Busch competition, replacing Jeff Green as driver of the flagship #3 AC-Delco Chevrolet. Park and DEI gelled quickly in ‘97. They came home 7th in the season opener at Daytona, the first of 20 Top Tens in the 30-race season. His first Top 5 came two rounds later at Richmond, a 3rd after leading two laps, and eleven more top-five runs would come by season’s end. And at the Nashville (Fairgrounds) Speedway, just ten rounds in, Park led 123 of 320 laps, besting Jeff Green by more than two seconds. Park would win twice more at Michigan and Richmond, placing him third in the season standings behind champion Randy LaJoie and runner-up Todd Bodine. Once again, Park was moved up the ladder to Winston Cup. Prior to 1998, Park had made five Cup starts and finished better than 33rd only once - a 15th in the Atlanta finale. Regardless, hopes were high that Park could contend in a strong rookie class that included Kenny Irwin, Jr., Jerry Nadeau, and Kevin Lepage. The first full-season Cup attempt by DEI attracted sponsorship from Pennzoil, who pulled most of its support from Bahari’ Racing after seven seasons. On the pit box was veteran crew chief Philippe Lopez. But the struggles of 1997 remained. Park finished 41st at Daytona, 31st at Rockingham, and failed to qualify at Las Vegas. 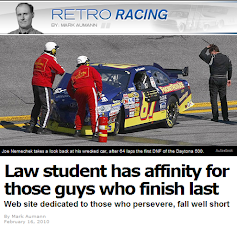 Then, in the lead-up to the next race in Atlanta, his luck turned even worse. During practice for the Primestar 500, Park blew a right-front tire in Turn 4, sending his car hard into the outside wall. Out of control, the #1 skidded into the barrier on the frontstretch, slid across the wet infield grass, and smacked into the pit road wall. The impact broke Park’s femur in his right leg, his left clavicle, left scapula, and broke two of his front teeth. Extensive surgery in the Georgia Baptist Hospital led to a hiatus of more than five months, during which time three other drivers raced his car. When Phil Parsons and Ron Hornaday, Jr. couldn’t get the #1 into the field on speed at Atlanta and Darlington, DEI turned to Darrell Waltrip, who had just been forced to close his #17 Cup team amid financial issues. Ironically, Waltrip gave the team some of its best runs that season, running 5th at Fontana and leading late at Pocono before finishing 6th. When Park returned at Indianapolis in July, he finished no better than 11th. But DEI stuck with their driver, and slowly but surely, Park began to improve. He earned his first Top 10 in Cup at Michigan in 1999 when he came home 6th, and earned four more by season’s end, lifting him to 14th in the final standings. Dale Earnhardt, Jr., who made his own Cup debut that season, ran alongside Park during the 2000 campaign, and even bigger steps were made. Park’s first top-five came when he broke through with a stunning victory at Watkins Glen, holding off three-time Glen winner Mark Martin in the final laps. He also earned his first poles at Bristol and Homestead, won the Winston Open at Charlotte, and nearly tripled his top-ten count on his ay to a career-best 11th in the standings. 2001 promised to be an even bigger year as DEI hired Michael Waltrip to debut its third team, the #15 NAPA Chevrolet. But everything changed after Dale Earnhardt’s tragic death on the final lap of Waltrip’s win in the Daytona 500. The following race at Rockingham was a decidedly somber affair. Dale Earnhardt, Jr., 2nd to Waltrip at Daytona, wrecked on the first lap and finished last before rain stopped the day’s events. Postponed to Monday, the Dura Lube 400 still had more than 300 laps to go and now even fewer fans in the stands. But this time, it was Park who carried the flag. In a mostly green-flag affair, Park, the outside-polesitter, led for 167 laps and this time held off a furious charge by Bobby Labonte. Days before Kevin Harvick’s photo-finish at Atlanta and months before Dale Jr.’s emotional thriller at Daytona, it was Park who began the healing process. But, unbelievably, his own season would face another near-tragedy. Coming into that September’s Southern 500 weekend at Darlington, Park was 10th in points, looking to carry a streak of four top-ten finishes into a track where he’d come home the runner-up to Dale Jarrett in the spring. He looked to run double-duty that weekend, making his seventh Busch Series start of the year in Ted Marsh’s #31 Whelen Engineering Chevrolet. Park started 15th in the Busch race, the South Carolina 200, and was still running mid-pack when rain slowed the event on Lap 11. As the field continued to follow the pace car on Lap 20, Larry Foyt ran his #14 Harrah’s Casino Chevrolet quickly along the inside line, looking to catch up with the other lapped cars. As Foyt came off Turn 2, he was shocked to see Park’s #31 veer left in front of him. At the worst possible moment, Park’s steering wheel had come off, exposing his broadside to the oncoming Foyt. Unable to avoid a collision, Foyt slammed head-on into Park’s driver’s door, destroying both cars. Just as in Atlanta in 1998, Park was hospitalized with broken bones, this time several fractured ribs. But unlike 1998, he ths time suffered severe brain injuries, injuries which have continued to affect his vision and speech to this day. 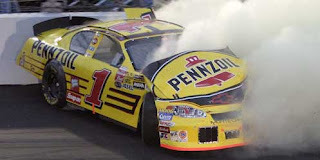 Again, Park was out of the #1 Pennzoil Chevrolet, which he this time handed over to Kenny Wallace for the final 12 rounds of 2001 and the first four of 2002. And, just as in 1998, Wallace enjoyed a number of strong runs. Wallace, who lost his own Cup ride with Eel River Racing, won the pole that November at Rockingham and led 101 of 393 laps, only to finish a distant 2nd behind surprise winner Joe Nemechek. And when Park returned in the early part of 2002, he’d score just two Top 10s the rest of the year, be involved in that terrible crash with Dale Jr. at Pocono, and leave a disappointing 32nd in the final standings. But, once again, DEI stayed with their driver, and Park returned in 2003 to join Waltrip and Earnhardt, Jr.
Coming into the spring race at Richmond, Park had just earned his first pole position in nearly three years, leading the field to green in the Auto Club 500 at Fontana. But, unfortunately, a good run wasn’t in the cards. Once the green flag fell, he was forced into a three-wide battle between Tony Stewart and Bill Elliott, sending him back into a race for 5th with Ryan Newman. Coming off the second corner, Park and Newman made contact, sliding them into the outside wall, then sending Park careening into the inside wall. Park avoided injury, but was handed a 40th-place finish, his sixth finish outside the Top 20 in the first ten races. Now 30th in points heading to Richmond, Park was once again back at square one. The Pontiac Excitement 400 weekend was marred by another terrible practice crash, but this time the victim was Jerry Nadeau. In his first season with MB2 Motorsports in the #01 U.S. Army Pontiac, Nadeau was mired 34th in points, but had earned a strong 4th-place run at Texas and came home 14th the day Park wrecked at Fontana. He’d also qualified 11th for the race that Saturday. But moments into practice on May 2, Nadeau’s Pontiac lost control in the first corner and slammed the unprotected barrier flush with the driver’s side. The Connecticut driver had to be cut from his car and rushed to hospital, where trauma doctors gave him just a six percent chance of survival. Nadeau pulled through, but suffered a fractured skull, a collapsed lung, broken ribs, and a concussion, leaving his left side completely immobile. Like Park, Nadeau still contends with these issues to this day, and has been consulted on the ongoing concussion and balance issues suffered this year by Dale Earnhardt, Jr. Meanwhile, back at the track, Park started 23rd for Saturday’s 400-lapper. Sent home along with Nadeau were Hermie Sadler in his own #02 GoTeamVa.com Pontiac, current XFINITY Series owner-driver Derrike Cope in his #37 Friendly’s Ice Cream Chevrolet, and Travis Carter’s #66 Kikkoman Ford of Japanese driver Hideo Fukuyama, who was attempting a partial schedule with a pre-Kickstarter program called the “Hideo Fukuyama Racing Project,” or HFRP. Starting 43rd that Saturday was another owner-driver, current pace car driver Brett Bodine in his own throwback #11 Hooters Ford. Joining him at the rear were Busch Series driver Jason Keller, tabbed to drive a backup car for Jerry Nadeau, and Bill Elliott, who changed engines on the #9 Dodge Dealers / UAW Dodge for crew chief turned car owner Ray Evernham. By the end of Turns 1 and 2 on the first lap, both Elliott and Keller got by Bodine, dropping the #11 back to last. By Lap 7, 43rd belonged to Elliott Sadler, who was in his second season running the #38 M&M’s Ford for Robert Yates Racing. Lap 11 saw Robby Gordon fall to last in the #31 Cingular Chevrolet, one of many cars fighting handling issues in the early laps. Gordon, the first driver to lose a lap, then made an unscheduled stop for tires and a spring rubber in the left-rear on Lap 21. Gordon was still last when the first caution of the night fell on Lap 44. Park had worked his way into the 20th spot and was working his way through Turns 1 and 2 when he lost control at corner apex, sending his car spinning backwards into the outside wall. The car made heavy contact wit the right-front, and then-rookie Jamie McMurray had to spin his #42 Texaco / Havoline Dodge to miss him. The accident saved several cars from going a lap down to race leader Joe Nemechek, but caused enough damage to end Park’s night. Crashes filled most of the remaining spots in the Bottom Five. 42nd went to “Mongo,” Darrell Waltrip’s nickname for the dog that was the logo for Sirius Satellite Radio on the hood of Jimmy Spencer’s #7 Dodge, wrecked on Lap 141. 41st went to Tony Stewart in the #20 Home Depot Chevrolet, who tangled with Elliott Sadler on Lap 224. 40th went to the #30 America Online Chevrolet of Jeff Green. Green, that year’s Daytona 500 polesitter, was furious after contact from teammate Kevin Harvick sent him into an accident with Jason Keller and Penske teammates Rusty Wallace and Ryan Newman, with Newman’s #12 Alltel Dodge rounding out the group in 39th. Green confronted Harvick’s crew chief Todd Berrier on pit road and had to be separated by Richard Childress. In the aftermath of the rain-shortened race, won by Nemechek in Hendrick Motorsports’ #25 UAW-Delphi Chevrolet, Green was released from Richard Childress Racing and Park, in short order, was released by DEI. The result was a quick driver swap where Park would run Chilress’ #30 and Green in the #1, effective by the time the series rolled into its next events in Charlotte for The Winston and the Coca-Cola 600. This time, neither driver benefitted greatly from their trade. Green was released by DEI after the Southern 500 and finished out the year sharing Petty Enterprirses’ #43 Cheerios Dodge with Christian Fittipaldi. Park finished 5th at Michigan in August then failed to qualify for the fall race at Talladega. Green was re-signed with Petty for 2004. Park, however, was dropped by Childress for then-rookie Johnny Sauter. With the exception of a single attempt for Ultra Motorsports in Jimmy Spencer’s old #7 Dodge, Park turned his attention to the Truck Series in 2004, driving the #62 Orleans Racing Dodge fielded by Brendan Gaughan’s father Michael. The next year at Fontana, Park broke through yet again with a win at Fontana, but Dodge’s gradual withdrawal from the series caused the driver to gradually leave that series as well. For the next few seasons, Park returned to the modified and East Series ranks of his younger years, winning a race in the former. He also returned to Cup briefly in 2010 and 2011, making two starts for Tommy Baldwin in paint schemes resembling modifieds. 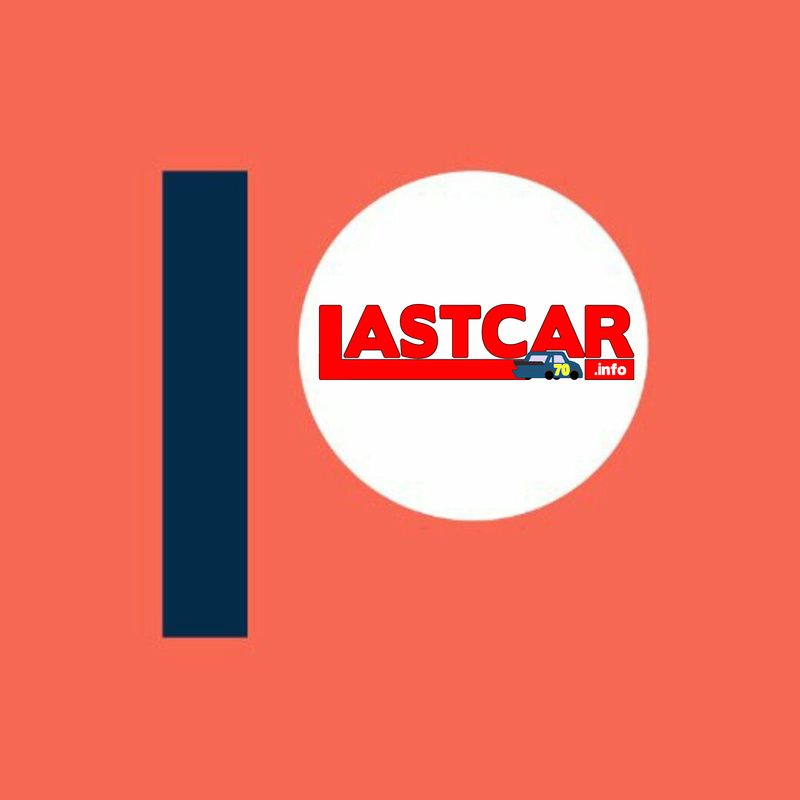 LASTCAR was among the supporters of Park’s 2011 attempt at Loudon, which unfortunately missed the race. Park still makes the occasional race today, and continues to fight the battles he’s waged since his injuries at Darlington. He’s been active in IMPACT, an initiative for concussion research, and also owns a Batteries Plus Bulbs franchise in Mooresville, North Carolina. 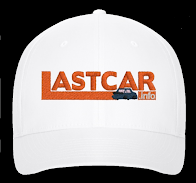 *This marked the first time the #1 car finished last in a Cup race at Richmond since March 2, 1997, when Morgan Shepherd’s Delco Remy America Pontiac, fielded by car owner Richard Jackson, lost an engine after 131 laps of the Pontiac Excitement 400. 2003 was also Park’s only last-place finish in a Cup race at Richmond. 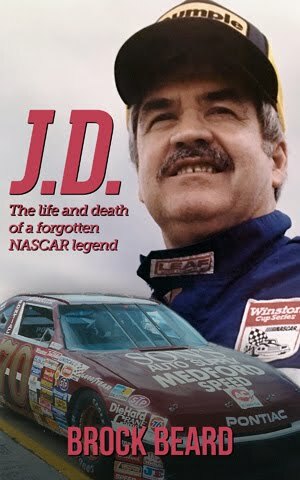 It's always been sad to think how his career went after the Darlington wreck, and then I saw the '98 ROTY names along side his. Pretty depressing to think about Irwin, Nadeau, and Park all at once. In comparison, Steve's story probably has the happiest ending. Would have loved to have seen all three race many more Cup seasons than they did.